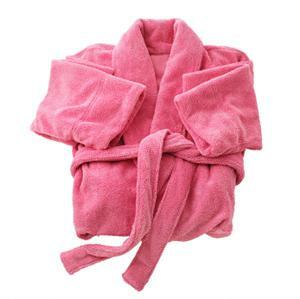 Pink robes make adorable hostess gifts. A Mary Kay lot of hostess gifts can be quite a find for avid fans of the famous company. These items are produced in limited quantities and aren't available to the general public. Needless to say, that makes the mission to hunt them down a bit challenging - but also quite fun! Specializing in skin care products and color cosmetics, Mary Kay is a company often recognized for its association with all things pink. However, it's probably best known for its vast empire of worldwide consultants! Their responsibilities include selling products and recruiting potential consultants to join the company. There are many initiatives that go into the selling process. One of the most popular is the hostess program. One of the highlights of the Mary Kay company is the hostess program. Consultants seek out potential hostesses who may be interested in holding a Mary Kay party (or class) in her home. The hostess invites several of her own friends to the party, with the understanding that the consultant will be selling Mary Kay products at the event. The consultant may offer a variety of specials, such as special deals or beauty treatments (like hand massages), to encourage sales. In exchange for her efforts, the hostess will receive several special treats from the consultant. Though these vary from consultant to consultant, they may include deals on products (for example, the hostess may receive a certain amount for a discount) or similar incentives if guests purchase a certain amount of product. Hostess gifts are another element of the program. These gifts are made especially for Mary Kay hostesses and are not otherwise available. The gift program launched in 2005 with a pair of sunglasses, following up with a signature tote bag. New, feminine accessories are introduced each selling quarter. eBay: One of the best places to check is eBay. A search for "Mary Kay hostess" will reveal a number of items at any given time. Craigslist: Visit the classified section and search for "Mary Kay." You'll often come across consultants who are selling discontinued gifts in lots or small batches. Bags: Totes, travel cases, cosmetic bags, coin purses and jewelry organizers and boxes. Apparel: Bathrobes, red jackets, pink silk and cotton coats and smocks of various colors. Jewelry: Wristwatches, necklaces and bracelets. Accessories: Shawls with matching silk carriers, magnifying mirrors, rhinestone-encrusted sunglasses in pink leopard cases, mirrored lipstick cases, "Let's Shop!" magnets and pins. Beauty: Skin care sets, body care sets, brush sets and color cosmetic sets. You may have your work cut out for you if your goal is to build an entire collection of discontinued hostess gifts. Fortunately, the Internet makes it easy to find many of them. You might also develop an interest in hosting parties yourself, which will ensure that you receive a gift at the end of the evening. Of course, you'll have to meet some obligations to the Mary Kay consultant if you choose to go this route. A bit of time and effort will eventually yield quite an impressive collection!